This site rules by all means. Its easy to find what you want, and it has the best prices on the net. 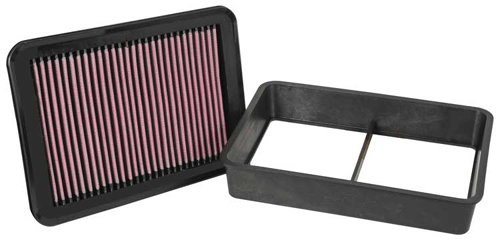 K&N drop in flat panel filters with mesh covering are replacements for your stock restrictive air filter. Higher flow rate gives you more power. TECH TIP: Very easy installation. Takes less then 10 minutes and can be done in your driveway.